I created Scentsible Life in 1994, reviving time-proven recipes for skin care & essential oil blends for emotional well-being. My goal in bringing these products to the public was to reintroduce nature’s gifts in their purest forms, providing therapeutic effectiveness & to draw attention to the exceptional vibrancy of nature. I grew up in Austria, in an area where spas & treatments with flowers, herbs and nature derived botanicals were a way of living. Drawing from this experience, I researched & developed recipes & began making my own line of products. 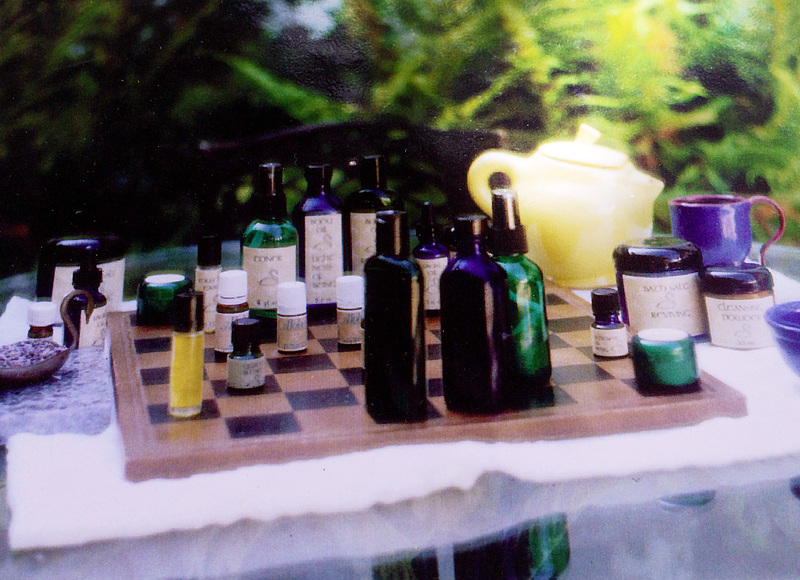 I was introduced to Aromatherapy & the use of essential oils for healing when I was a child. For wounds & scratches my mother simply cleansed the wound & applied lavender oil. If I had an upset stomach, I was given chamomile tea, or a drop of chamomile essential oil on a sugar cube. As a teenager, when my skin changed & developed acne, my grandmother cooked oatmeal with lemon juice – that was my cleanser. She picked lavender flowers from the garden & made the lavender tea that I used as a toner for balancing and treating breakouts. To protect my skin, she simply added essential oils of Lavender, Tea Tree & Chamomile to almond & hazelnut oils. In addition to this skin ritual – as a weekly treatment – all of the women in my family indulged in a facial. We sat around steaming our faces with rosemary, thyme & lavender flowers – then used the oatmeal mixed with milk as a cleanser then afterward applied a mask made with green clay, pulverized lavender flowers & essential oils of Chamomile, Lemon & Rosemary. While enjoying our mask treatments, we drank Grandmother’s soothing, calming, herbal tea – a blend of St. John’s Wort, Melissa & Chamomile. In my memory, those evenings were very special. It was a time when women got together to have a good time. It gave me a feeling of being cared for, of belonging, of pleasure &, at the same time, of becoming beautiful & radiant. 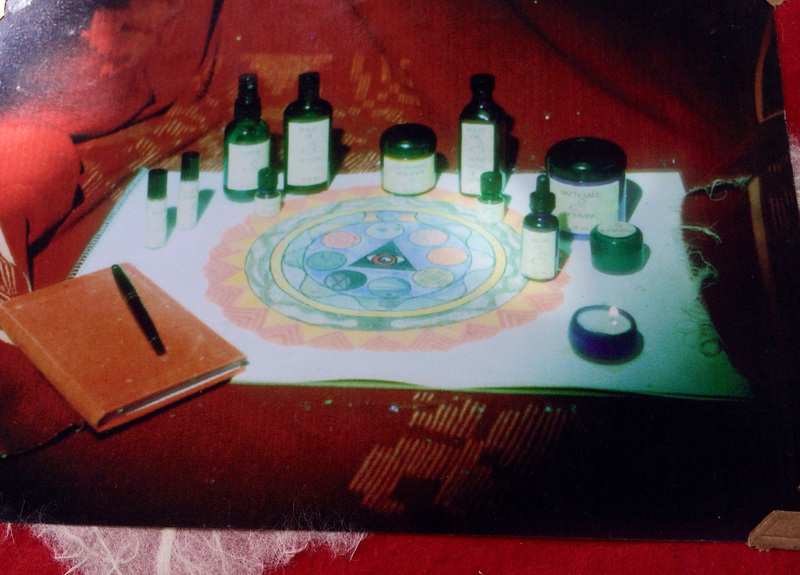 Years later, when I met my teachers/advisors Aurelia and Sadi, I rediscovered the pleasure & healing power of essential oils –this time I cured myself of chronic migraines using simple Peppermint essential oil treatments, Lavender baths & consciously getting in touch with the emotional components of my migraines. During the healing process I reconnected to my childhood encounters with aromatherapy. The reconnection with my childhood experiences & the amazing results of my treatments with the essential oils, motivated me to create my own aromatherapy practice – to share the healing power of nature with essential oils and other natural whole products. My interest has been to find effective treatments for the skin, physical conditions, and emotional well-being that are in harmony with the environment, are truly natural & keep the vibrancy & potency of the ingredients. I have formulated my products using only the healing, balancing, rejuvenating, cell-restoring properties of essential oils – adding them to bases of nurturing, soothing, moisturizing fresh vegetable oils. As I have developed & used these products, it has been a pleasure & surprise to experience my skin becoming more vibrant, my emotions more stable, my mind less active, and my overall physical health improving drastically. I began to experience more happiness, more satisfying experiences, and better relationships. Naturally, all of these experiences created a strong passion to share my products, treatments & sessions with the public. Soon after sharing my discoveries, I learned that many people have a hesitation to engage in more natural ways to help themselves. Modern life evolves around high performance & constantly keeping up with new technological improvements. There is a compelling tendency to develop habits that support these external systems & demands – but at a loss of a personal sense of self. This loss – the neglect of our personal lives – nurtures a separation consciousness – separation between each other & separation between ourselves & nature. My passion for essential oils and helping people, led me to designing classes and workshops to educate the public, and to guide people into having a first hand experience with essential oils, and holistic sessions and customized bodywork. As a result, my students came in contact with and experienced for themselves how essential oils and the treatments enhanced their quality of life, improved their physical health, mental and emotional wellbeing. The hesitations of using these gifts of nature began to dissipate in the wake of experiencing improved physical health, and quality of life, and more and more people were drawn to the essential oils to help themselves, and to become professionals themselves. Now twenty years later with even more training and more experience, I am as passionate, maybe even more so than when I started my business, about helping people to establish an awareness of personal health & well-being that integrates into every day life – rituals or regimens that people can translate and live with in their daily personal routine, furthering and stabilizing the changes made in sessions or workshops. Scentsible Life continues to offer essential oil therapy, customized bodywork, workshops and trainings. Today, alternative, natural & holistic healing is much more accepted in our society. However, there is still a strong tendency to retreat to symptom relieving treatments & quick prescriptions. It is therefore my hope that more people find their way to Scentsible Life. At Scentsible Life you can let go of outside demands, sit back & relax. Here you are free to rediscover pleasure, joy, pampering & nurturing. Here you are encouraged to learn how to take charge of your own health and life. My professionally trained, loving & talented therapists & myself are here to assist, support & guide you on your journey to find deep relaxation or even rediscover a personally meaningful way to live a healthy, happy & satisfying life. Our sessions, products, & workshops are all designed to reawaken the self-healing mechanism of the body & the internal knowing of what is beneficial for a well functioning, rewarding & happy life.